High levels of solar radiation, efficiency of the CPV systems and cost reduction through mass production are often described as the major factors which will drive CPV technology towards achieving grid parity. It is said that the main obstacle to reaching grid parity lies within the boundaries of cost: mostly the initial investment and the operation and maintenance costs. Amongst numerous factors, it could appear that the most important costs are those originated by the tracking systems and the solar cells. Great efforts should be made over reducing the costs of these two key components in order to reduce the overall cost of CPV systems. 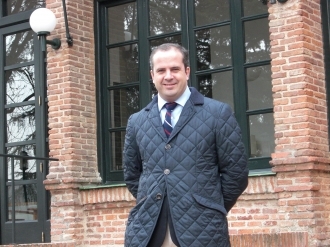 According to Ignacio Luque-Heredia, who has worked 15 years in the CPV field, first as founder and General Director of Inspira, then CTO for Solfocus Europe and currently CEO of new HCPV start-up BSQ Solar, there is more than just cost when it comes to reaching grid parity. CPVToday.com: Do you think that the main obstacle to reaching grid parity lies within the boundaries of cost: the initial investment and the operation and maintenance cost? Do you think the reduction of these two factors is a key element that must be taken into account towards a reduction of the total cost of the system? Ignacio Luque-Heredia: The main obstacle to reaching grid parity lies quite behind that point , i.e. in being able to really begin a CPV market, and I do think we are now witnessing it. In my opinion, this will require a “smart” kind of start-up capital, that targeting potentially very high medium to long term profitability, is prepared to go through an incubation period. The focus should be on progressively refining the CPV products going from prototypes to pilot plants of growing sizes. Some of the present players are already far ahead in this phase but have not yet completed it. If no big mistakes – essentially in terms of product reliability and durability – are made during this first phase, and enough valid track record data are gathered, only then banks and other credit sources will be convinced. However, if some of the main players do incur in big mistakes during this phase, probably the whole CPV community will suffer. Getting through this phase is, in my opinion, the toughest part of a process that requires brilliant managers and far- sighted investors. Once proper industrialization begins –aka mass production-, a few more years will be required to break the first competitiveness barrier: general breakeven with conventional PV. After that, we will be able to start tracking the mentioned projections, and the superior learning factor of CPV should pay off quickly. CPV Today.com: How do you assess progress made by CPV in terms of increasing its efficiency and how quickly advantage will become more prominent in the future? Ignacio Luque-Heredia: In the last 20 years, the efficiency of multijunction cells has rallied from about 25% to the current Fraunhofer ISE record of 41.1%, an impressive increase that together with the potential still expected from these devices is the main driver behind the recent CPV trend targeting high concentration factors. CPV Today.com: The complexity of the required highly precise tracking system, together with maintenance procedures, have traditionally prevented the implementation of CPV small arrays, which would not benefit from the potential cost reduction that is inherent in larger CPV systems. How do you assess the situation? Ignacio Luque-Heredia: Optimum size for CPV arrays to achieve the least possible cost is determined by structural and electrical considerations, and how size impacts transportation and installation. Smaller systems than those deriving from these criteria could be required if there were space constraints, as happens in building integrated projects. However, my opinion is that CPV will have to mature and develop its cost potential in the open field through large scale plants before being able to focus on these other applications. CPVToday.com: Despite its present relatively high initial investment, a recent CPV cost reduction roadmap forecasts that the initial investment will drop down to 2,500 €/kWp in the short run upon the assumption of a rapidly increasing manufacturing volume together with a learning factor of 15% (Nishikawa and Horne, 2008). The EU Photovoltaic Technology Platform agrees on this figure and envisages that this dramatic decrease will take place by 2010 (Bett et al., 2006): accordingly, it would imply a levelised electricity cost (LEC) of only 0.126 €/kWh. What do you make of these projections and developments? Ignacio Luque-Heredia: The nascent CPV industry would set off with a higher learning factor than 15%, which is even below the traditional learning factor of the much more mature market of conventional PV, estimated to be 20% and even higher. Take into account that the learning factor of optoelectronics, whose manufacturing processes and equipment are in many aspects adopted by the recent automated assembly lines of, for example, Isofotón, Concentrix or Solfocus, is estimated to be of 32%. Again the conversion efficiency ongoing race in III-V cells should strongly contribute to high learning factors in the early stages, as has already occurred in conventional PV with a much lesser relative increase. In any case, even using conservative learning rates, such as that 20% of the present PV market, traditional projections (Luque & Yamaguchi, 1999) updated in recent works (Algora, 2007) predict system prices below the 1$/W and LECs below the $5¢/kWh at over 1800 KWh/m2yr DNIs for systems based in 40% efficiency cells after 1GW of cumulative production of the CPV industry. Once the industrialization engine is started this cumulated 1GW market scenario for CPV will not be far away. CPVToday.com: Historically, when a specific technology attempts to achieve a high industrial and commercial growth such as CPV is trying to, setting standards that regulate the manufacturing and functional characteristics of products becomes necessary. Don’t you think it is essential for large scale penetration of CPV installations to guarantee that concentrators meet a series of minimum requirements during the design stage and subsequent manufacturing? Ignacio Luque-Heredia: Standards are indeed a must to create a market as they provide customers and their financiers the technical guarantees ensuring the reliability and safety of a certain CPV product, and also set the basis for their rating and characterization. Fortunately, thanks to the volunteer effort of many engineers and scientists in the CPV community, the industry is starting to produce the necessary set of international standards; starting with IEC 62108. Even if it will probably require further refinement, it is already an excellent reference to have. It is true that in CPV standardization efforts have to face added difficulties deriving from the wide variety of different design approaches trying to make their way into the market; I imagine the panel of experts setting the norms for airplanes in the very early days of aviation met similar problems! However, I expect a lot from the contributions to the Standards corpus of customer-like contributors such as ISFOC that are gathering the necessary field experience to propose the most realistic norms.